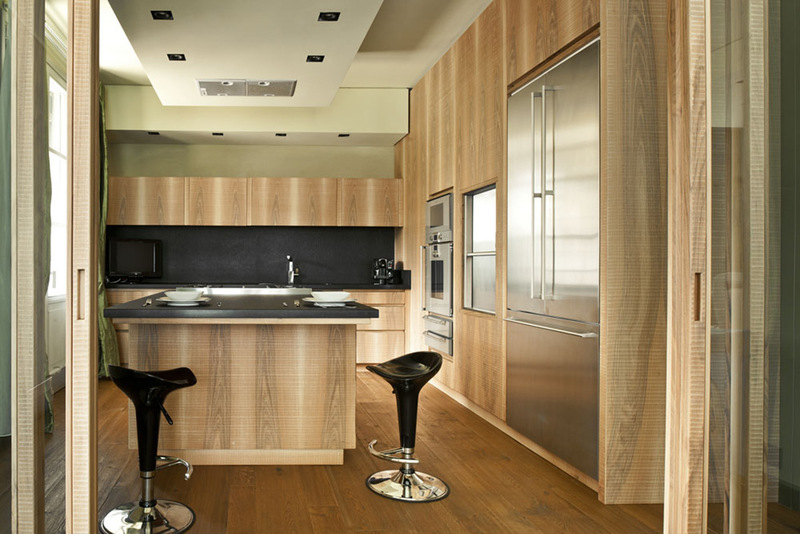 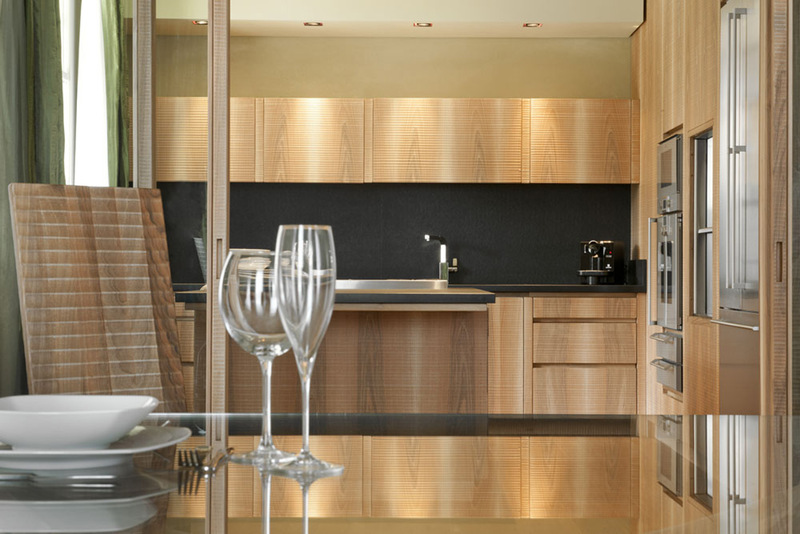 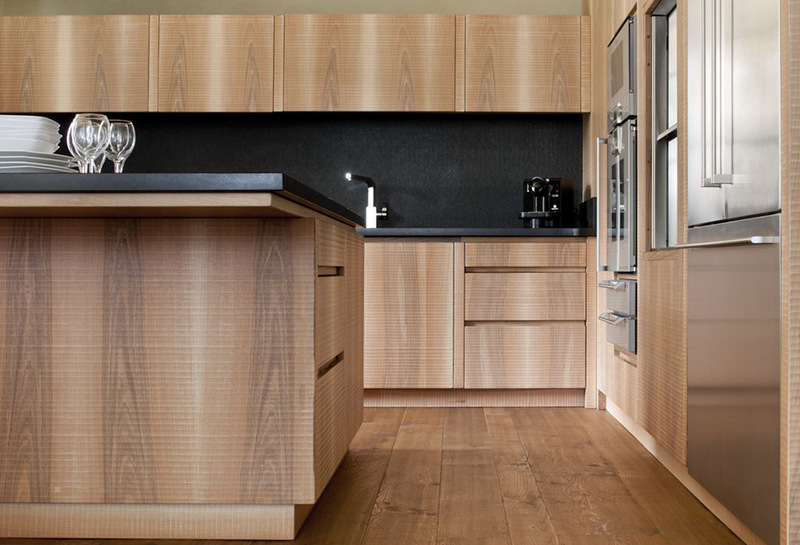 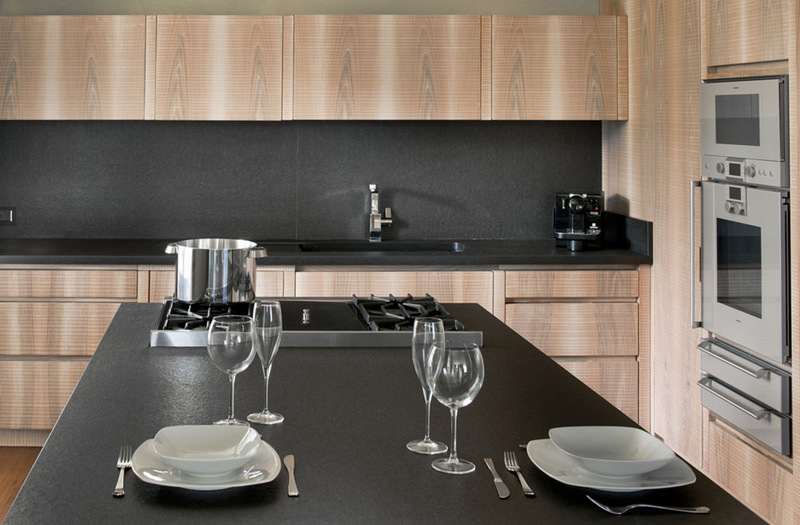 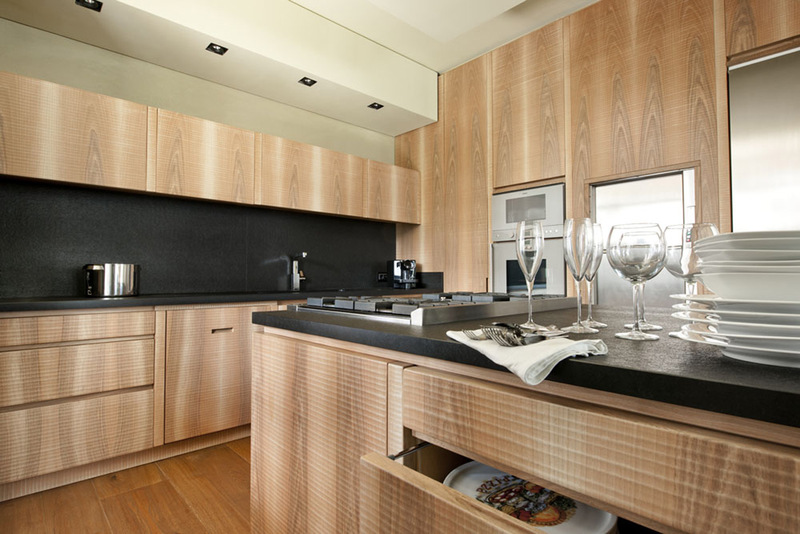 Kitchen in Italian walnut with sheer black granite surface. 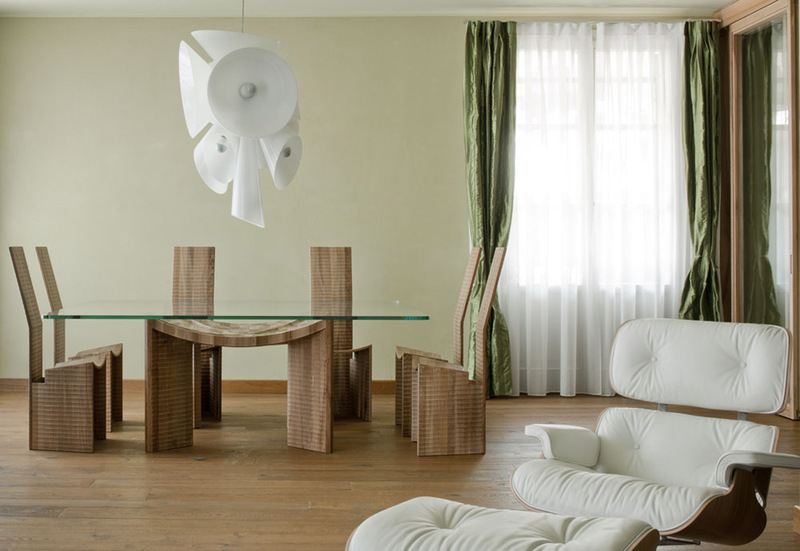 Vela table in Italian walnut with glass top. 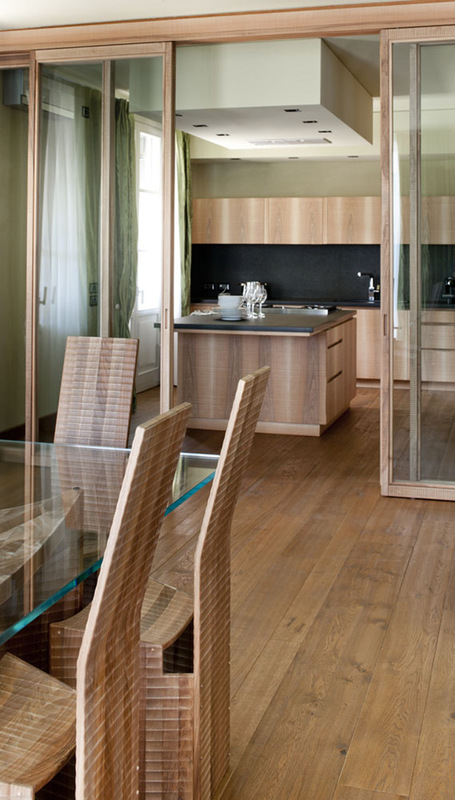 Palestrina chairs in Italian walnut. 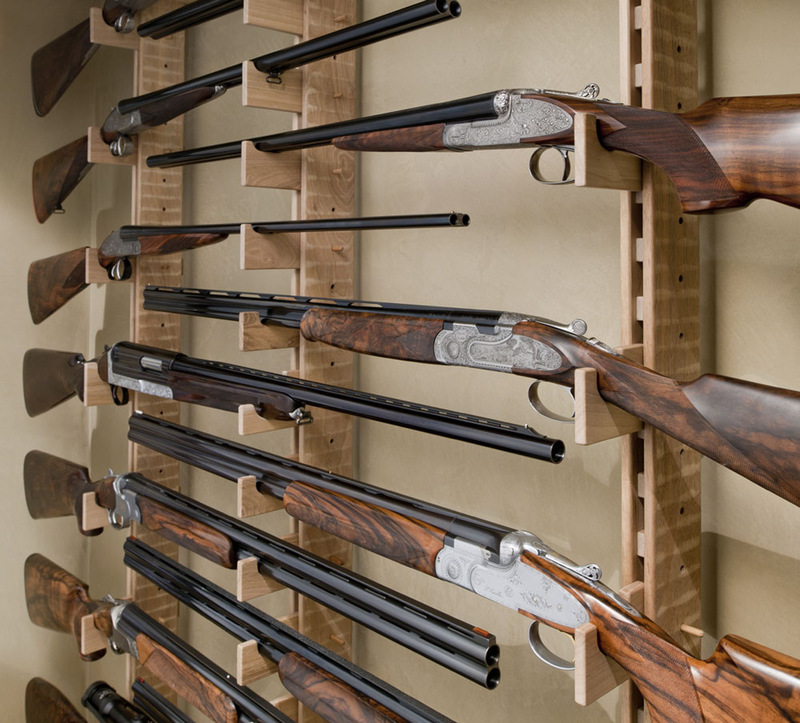 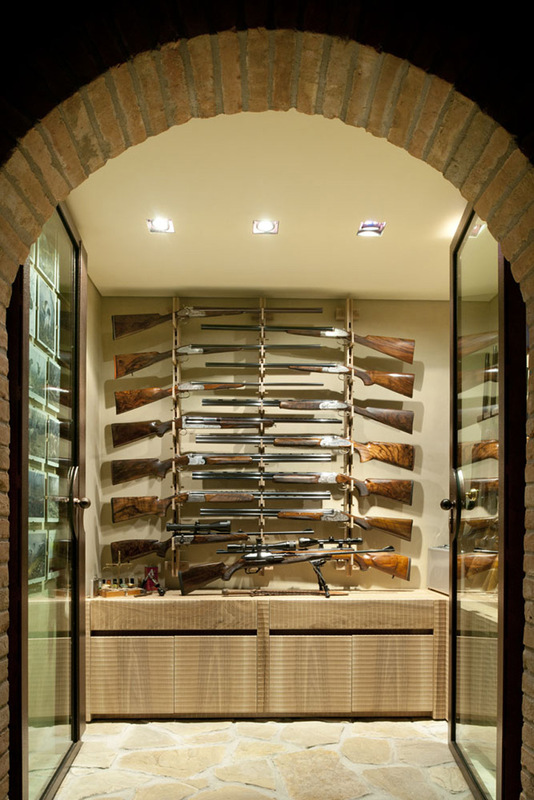 Gun rack and cupboard in Italian walnut.